President Obama's Inauguration will be held on Jan. 21 -- because the Constitutionally-mandated 20th falls on a Sunday. 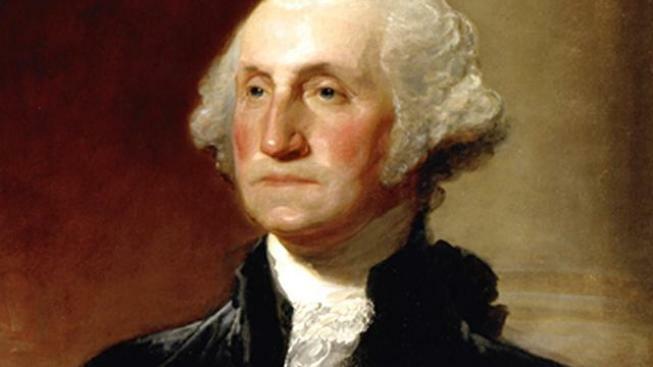 George Washington's first inauguration was April 30, 1789. HIs second was March 4, 1793. Now, presidents are inaugurated on Jan. 20 -- unless that falls on a Sunday, like this year. Barack Obama will be inaugurated in front of hundreds of thousands of people on Jan. 21, but here's a little secret: That's just ceremonial. He will actually be sworn in 24 hours beforehand, in what is sure to be a much smaller ceremony. That's because the Constitution's 20th Amendment specifies that a presidential term begins on Jan. 20 each year. Since that date falls on a Sunday, the big production was pushed back a day. Which means when Obama puts his hand on the Bible in front of a national TV audience and repeats after Chief Justice John Roberts, it will just be a rerun. For an event that's essentially etched in stone every four years, the history behind the inauguration date is surprisingly fascinating. It's moved up more than three months since George Washington's first in April 1789, but despite mind-blowing advancements in technology, there's still nearly a three-month gap between election day and inauguration day. And experts say that gap isn't likely to shrink. Our first presidential election began on Dec. 15, 1788, and voting didn’t end until Jan. 10. Though George Washington's victory was a forgone conclusion, it wouldn't be confirmed for weeks to come. "The long struggle to ratify the Constitution delayed the selection of the Electoral College until January 1789 and the electors did not meet in their state capitals until March," said John Ferling, author of 'The Ascent of George Washington: The Hidden Political Genius of an American Icon.' "The Senate then had to count the ballots, and that was not done until early April." Washington got word of his election on April 14, and arrived in New York on April 23. A week later, on April 30, he was inaugurated. Even though Washington wasn't inaugurated until April, his first term technically ended four years after the Constitution was ratified. So for Washington's second term -- and every inauguration for the next 144 years -- Inauguration Day was held on March 4, the anniversary of the Constitution's ratification (or March 5, if the 4th fell on a Sunday). Though this shaved 47 days off the interregnum (the period between the election and the inauguration), the nation would still find itself saddled with a lame duck president for months on end. When Abraham Lincoln was elected president on Nov. 6, 1860, the nation was teetering on the brink of war, and it would be four months before he could take the reins. During that time, seven states seceded, formed the Confederate States of America, and, two weeks before Lincoln's inauguration, selected Jefferson Davis as their own president. It would take another nation-defining crisis before anyone would do anything to address the issue. In 1932, with the Great Depression crushing the economy, Sen. George Norris, an independent from Nebraska, proposed what became known as the "Lame Duck" amendment, seeking to move up inauguration day to Jan. 20. The 20th Amendment was ratified in 1933 -- but too late to move up Franklin Delano Roosevelt's inauguration. So with about a quarter of the nation out of work, America had to spend four more months under the leadership of Herbert Hoover, who had failed to garner even 40 percent of the popular vote. Hoover made several attempts to get FDR on board with his efforts to right the economy, but Roosevelt was too smart for that, says Bob Clark, Supervisory Archivist at the Franklin Delano Roosevelt Presidential Library. "He was very coy during that interregnum, where Hoover was trying to get him to sign on and start wielding authority before he had authority," Clark said. "And FDR, politically, did not want to be boxed in by being seen to endorse the policies… to avoid the perception that (he) was in any way responsible for what was going on." Eighty years later, with the advent of the Internet and private jets, the outcome of a presidential election is usually known hours after polls close, and the president-elect can get to D.C. by noon the following day. But presidential inaugurations are still held on Jan. 20 -- exposing America to nearly three months of lame duck presidency. Bruce Ackerman, Sterling Professor of Law and Political Science at Yale University, says this is due to vagaries of the Electoral College, a system he described as "ridiculous" and "antiquated." Ackerman, who worked for Al Gore during the disputed 2000 election, says the Electoral College requires time to mitigate disputes in close elections. "You need time to resolve this," Ackerman said. "The statute at the present time requires, if the states want to have the returns unchallenged at subsequent proceedings, they have to hand them in by the middle of December." Ackerman said we should look to the rest of the world to find a system of Democratic elections that is fast and efficient. "See how the French do it," he said. "If you look at any modern democracy other than ours, just copy their system. It has all the features you're describing." In France, from election day to inauguration takes about 24 days, and that's despite often having a second round of voting in between. Think how nice it'd be to hold the Inaugural parade on Nov. 30, when the average temperature in DC is a balmy 52. But be prepared to actually watch that parade in chilly January weather.